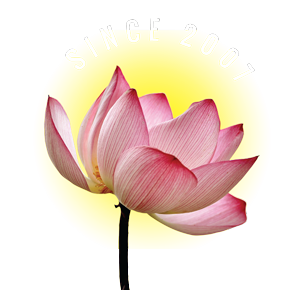 Many modern Buddhists are hesitant to practice ancient physical methods—prostrations, mudras, physical offerings—and can often only be convinced if they can somehow psychologically rationalize it. For example, deity practice is often “psychologically” categorized as “making a connection with your inner Self”—Buddha Nature in Buddhism, “Self” in Jungian psychology. 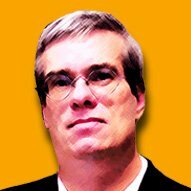 Note: How to: at end of this feature. For a modern western practitioner, prostrations can be even more difficult to rationalize than offerings and mudras. It’s easy to understand that prostrations “cut the ego.” Intellectually it’s not difficult to accept the teaching that attachment and ego cause suffering. In the case of prostrations, however, it feels like we’re giving up control, a concept modern society has trouble with. How can modern people, brought up in a ego-centered culture, relate to an ancient show of pride-destroying deference? 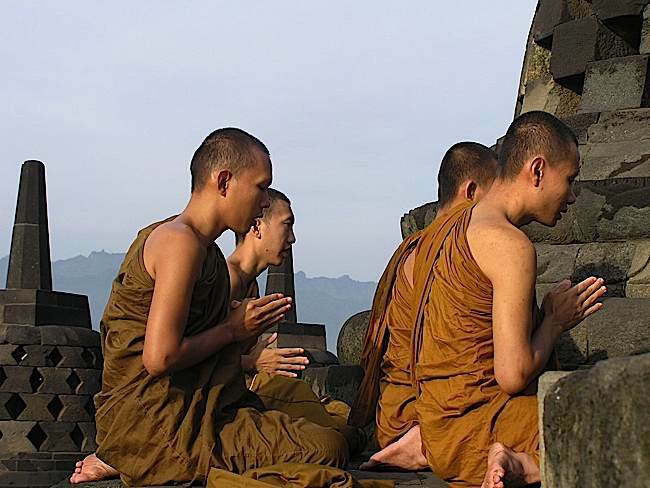 Whether bowing to the Buddha or the respected teacher, it is difficult for many people who grew up in western-influenced culture to show such humble devotion—particularly in public. During Tibetan Buddhist formal teachings, when a teacher enters, we bow. If we are a student we would perform full prostrations to our guru. 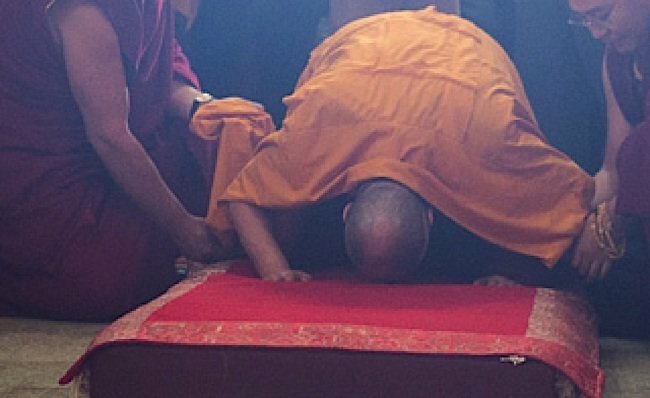 Floor-bound prostrations to a living being—even someone as well respected as the Dalai Lama—can present even more issues for modern Buddhists. We’re now appearing to surrender our control to a human being. Then, if we are watchful, we begin to intuitively understand, when we see that same teacher we just bowed to fall to the floor and prostrate to the Buddha and his own teachers. It goes beyond simple respect and etiquette. Prostrations can be full or partial, physical or visualized, a slight bow or a full body prostration. 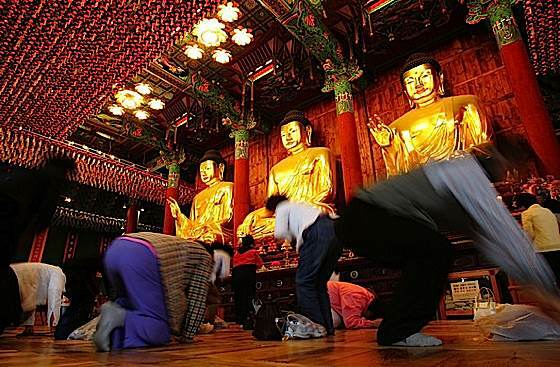 Some of my Buddhist friends, who have difficulty with full prostrations—especially in public venues—try to rationalize the action as “tradition” and sometimes even as a physical yoga, and a healthy exercise. Of course, Rinpoche explained, physical yoga is not its purpose. It is meant to ruthlessly cut, cut, cut the ego. In the same way Manjushri’s great sword cuts ego and duality, prostrations can be a powerful way to connect to our egoless Buddha Nature. Pilgrims by the tens of thousands visit sacred historical places to prostrate for blessings. Lama Zopa Rinpoche put it this way: “Making prostrations is an excellent antidote for slicing through false pride.”  Prostrations are often encouraged in the context of showing respect for all living beings. Since every sentient being has Buddha Nature (in Mahayana traditions), bowing to any person can be thought of as bowing to the Buddha Nature in all of us. In Lojong training, cutting the ego through preliminary practices such as prostration is “point one”, while Bodhichitta, is “point two.” Both are critical. 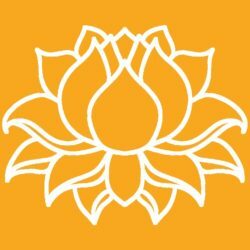 The Lojong root text teaches: “Contemplate that as long as you are too focused on self-importance and too caught up in thinking about how you are good or bad, you will experience suffering. Obsessing about getting what you want and avoiding what you don’t want does not result in happiness.” The main preliminary practice focused on cutting the ego is prostrations. In Tibetan, the word prostration is translated as chak tsal. Chak means to “sweep away” harmful actions and obscurations. Tsal means we receive the blessings of an enlightened body, speech and mind. Respectful full-prostration bows are important to devout Korean Buddhists, one of the six essential practices. To advanced tantric practitioners, prostrations help us work our subtle bodies—”energy-wind body” as it’s sometimes translated. The energy of the subtle body—known variously as Chi, Prana, Winds—is visualized in this practice. Energy Wind Body, or subtle body, is well accepted in most Eastern traditions, and to some extent by science in the west, via the success of Acupuncture in controlling pain. Rob Preece, who is a working psychologist, also describes Energy Wind Bodies as analogous to emotions, with wind connoting emotion. In my very basic layman’s understanding, for example, guilt or repressed emotional memories might be imprinted on our psyche, sometimes without our explicit knowledge. The famous psychologist, Carl Jung, described this bundle of repressed, unpleasant memories and guilt trips as the “Shadow.” Just like karma seeds in Buddhism, the shadow can ripen and affect us tangibly in our lives, often with tragic consequences. Working with prostrations releases the trapped “winds” or emotions, the collected guilt, thus purifying our karma. Another way of understanding winds or chi is as subtle energies in the body. Acupuncture, Tai Chi—and prostrations—can work to manipulate or enhance these energies. 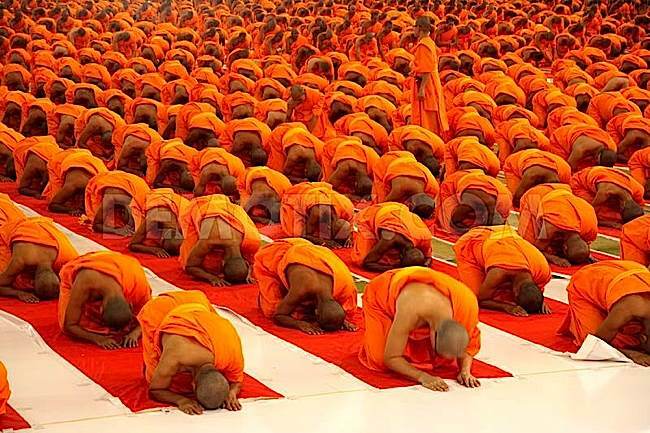 In some formal preliminary practices, a student might be asked to perform one hundred thousand prostrations. This might be in a single months-long formal retreat at a sacred place. Other teachers, understanding our busy lives, simply ask students to work towards 100,000 through a daily practice of a few each day. The numbers are not significant. They symbolize that constant repetition is the goal to help us advance and subdue the ego. In the evening, she suggests a further 28 dedicated to Guru Vajrasattava, with Vajrasattva’s mantra, OM VAJRASATTVA HUM. Without the motivation, the practice is purely physical, with some added benefits in taming the ego. When we set the motivation, it becomes a Mahayana Buddhist practice, focused on Bodhichitta—on kindness and regard for all sentient beings. The benefits then become as wide and expansive as the collective of sentient beings. The body aspect of the practice is purely physical, involving the whole body, and pressing the entire body flat to the ground at the lowest point, in full contact with the earth. 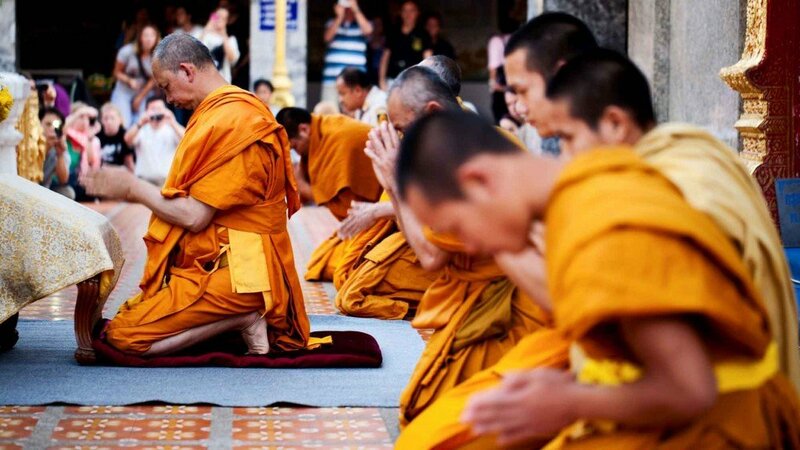 The speech aspect is normally the mantra or praise we chant as we prostrate (mentally, or aloud). This can be as simple as “I prostrate to the Buddha, Dharma and Sangha,” or the mantra of a Buddha, deity or teacher you are visualizing. The mind aspect involves visualizing yourself prostrating fully. Mind, is also a result of prostration: diminishing the power of the ego over our mind. Visualization: Even if we are bowing to a physical altar, some level of visualization is practiced to fully involve our minds in the practice. Normally, you visualize the Buddha, or your practice deity, or your root guru. In formal prostrations, you might also visualize the entire “merit tree” or “field of merit”—all of the enlightened beings gathered in front of you, surrounding your main practice deity, Buddha or guru. Involve All Sentient Beings: One valuable technique for developing Bodhichitta is to visualize all sentient beings around you (in front, beside and behind you), also prostrating. Most people can’t manage a detailed visualization of so many, but the key is to just understand that you are bowing on behalf of ALL sentient beings. As we draw down our clasped hands to our throat level, we visualize light purifying our speech. As we draw down our clasped hands to our heart level, where traditionally our mind resides, we visualize or understand that our mind is purified. Five-Point-Prostration: We quickly kneel, and our head touches the floor, so that now our knees, hands and head are touching the earth in five places. We visualize or understand that our five negative or disturbing emotions—anger, attachment, ignorance, jealousy, and ignorance—are leaving our body and flowing into the earth. This final act symbolically completely purifies us. Without hesitation we rise up and begin the next prostration. I have yet to find the writings of the names of the 35 Buddhas. How can I find the text o memorize? Are you looking for the Sanskrit Names or the English translated names or Tibetan? According to most teachers, either is fine. The Sanskrit is obviously harder to memorize, but it has a different feeling when reciting. I have all three, glad to send them if you let me know which you’d prefer. 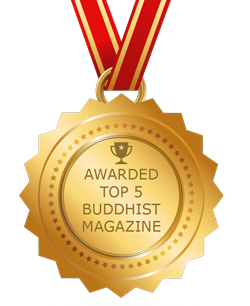 You’ve inspired a story idea, so please watch for a feature on 35 Buddhas.